We’ve made it to the city in one piece! …More or less, after the mosquitoes have taken their pound of flesh. 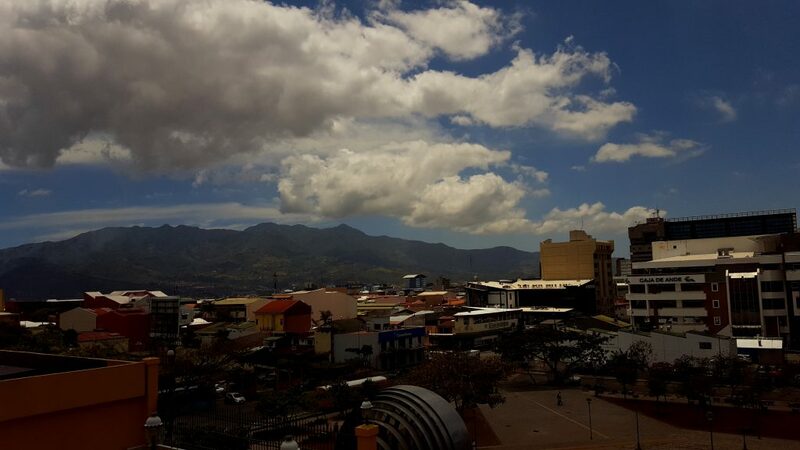 We’re presently in the midst of our homestay in San Pedro, a city within the metropolitan area of Costa Rica’s capital, San José. After several weeks in constant company, all of us students are splitting up to stay with different Spanish-speaking host families in the San Pedro area. We still reunite at the Costa Rican Language Academy, though! In addition to the five hours of language class each day, classes are offered on cooking, dance, and more. We now have free evenings and weekends, and the full public transport system of San José on our side. Museums, cafés, and even the movie theatre have become every bit as instructional as classes, in terms of Spanish comprehension. The complete Spanish immersion–at home, class, and in the city–is starting to turn my rough language skills into something resembling actual language skill! We have also visited some museums, most notably the Museo Nacional de Costa Rica and the Museo del Jade. 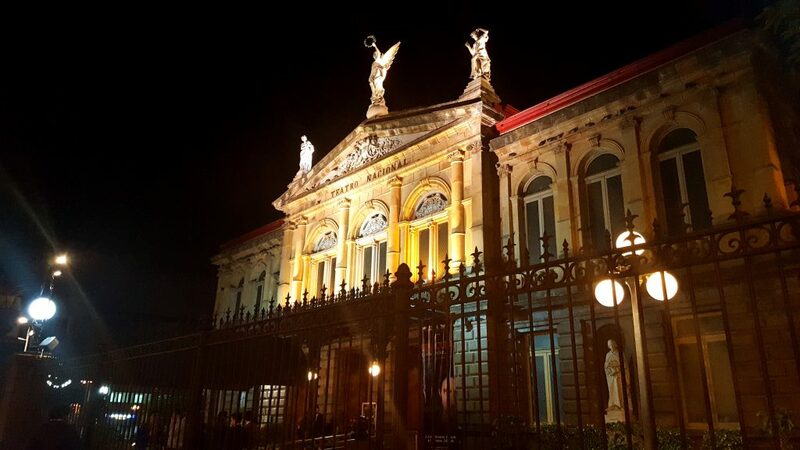 Both of them have excellent exhibits showcasing Costa Rica’s archeological heritage, particularly the Pre-Colombian Era. “Jade” is an umbrella term that describes colorful minerals jadeite and nephrite. Only jadeite occurs naturally in Costa Rica. 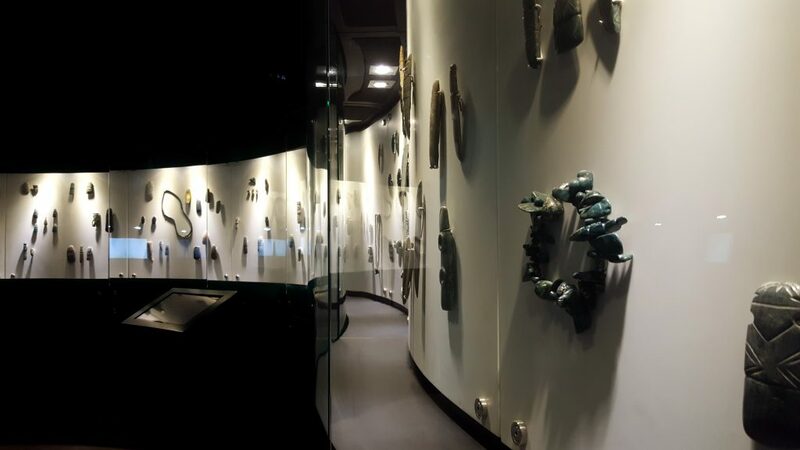 The stone’s vibrant green and blue colors represented life, death, and growth to indigenous peoples, and jade artifacts were carefully crafted and treasured. The designs often featured animals, which were regarded as sacred. I was lucky enough to get a video of this fellow opening its wings in the National Museum’s butterfly exhibit! 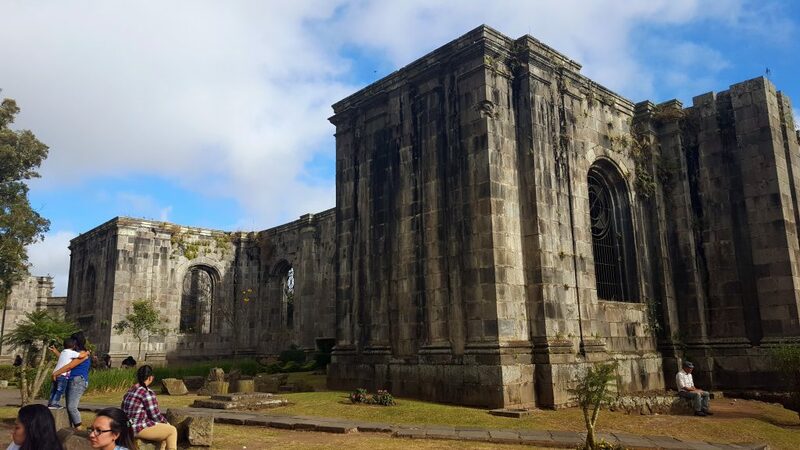 A few of us visited the Santiago Apóstol Parish Ruins, which is a famous Costa Rican Cultural Heritage Site in Cartago. This poor parish was destroyed by earthquakes three times since it was first constructed in 1575. The fourth rebuild was never completed, so its rough stone walls loom forebodingly over the small shops and restaurants in downtown Cartago. Look at those ruins. They’re doing a really top-notch looming job. But one step inside, and you’ll see that the ruins are anything but ruinous. The interior has been transformed into a public garden and park, complete with benches and fountains. It’s a popular spot for both tourists and locals, and rightly so. Click the photos below to expand them! Best of all, I was able to attend mass recently in the Metropolitan Cathedral of San José, the capital. Both the cathedral and the mass were lovely. Though the rites were not in my native language, Catholic mass retains the same order, the same weight of tradition, wherever you are in the world. It is a beautiful thing to pray the Our Father with a body of fellow believers, be it in Spanish or English. The air was already heavy with incense when I arrived for mass on Sunday morning. Nothing could have been a better welcome.